Originally from Providence, RI, Emma received her degree in Integrated Marketing Communications from Emerson College, located in Boston, MA, in May of 2012. 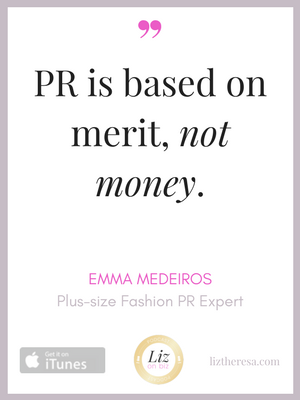 In June of 2015, Emma started Medeiros Fashion Public Relations when after realizing that, out of the thousands of fashion public relations firms in the US, not ONE of them specialized in this exploding industry. Can’t have that! [9:57] Emma’s SECRET RECIPE for helping clients to do “news-worthy” things – what makes YOU special? 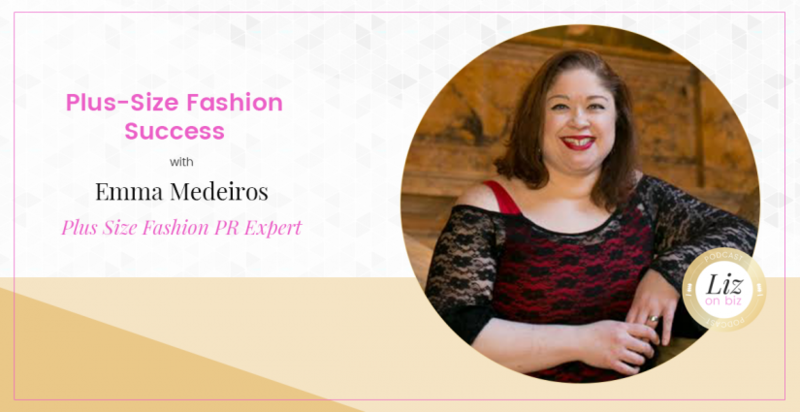 [19:42] What really IS public relations and when should you start using it? [29;07] Emma didn’t always have the plan to start her own PR firm!